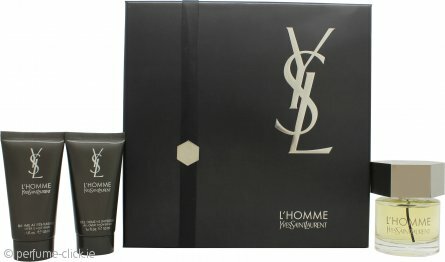 L’Homme by Yves Saint Laurent is a fresh and woody fragrance for men. The notes of the fragrance play on contrast with its heart of spicy and floral notes. Violet leaves and basil flowers unite to express the sophisticated elegance of contemporary masculinity. Bracing, vibrant white pepper lends a refreshing spicy sensuality to the scent's construction. To perfectly balance the heart of the scent, the top notes include lemon cedar zest, bergamot and ginger of China to add a special radiance of flavours. In contradiction the soul of the fragrance lies in its magnetic, charismatic aura. It projects woody elegance (sandalwood, Virginia cedar), masculine attraction (Haitian vetiver and tonka bean) and an amber signature note. L’Homme by Yves Saint Laurent was launched in 2006.